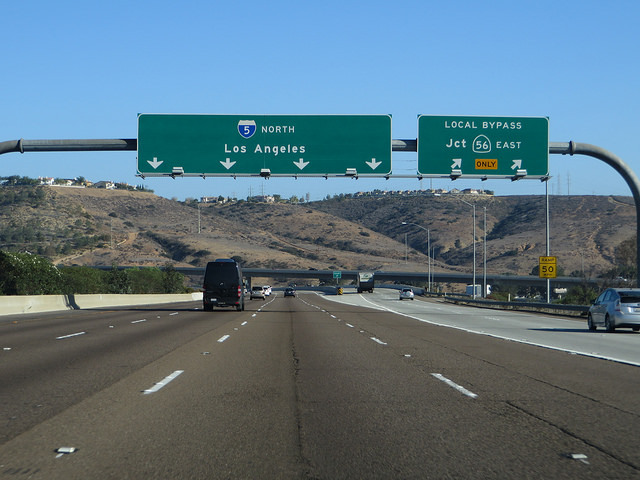 Crews working on the Interstate 5 Ocean View Rehab Project will resume work to replace portions of the highway shoulder between Oceanside and Orange County. Lane closures will take place Monday through Thursday, 8:30 p.m. to 5 a.m. and on Friday, 10 p.m. to 8 a.m. The highway can be reduced to one lane in each direction after 11 p.m. The on- and off-ramps at Las Pulgas Road will be closed Tuesday-Friday from 8 p.m. to 5 a.m.
Project information is available at keepsandiegomoving.com or by calling the Project Hotline at (888) 732-9373. Motorists are reminded to Be Work Zone Alert and to Move Over a lane when safe to do so, or slow when highway workers are present with amber lights flashing.